As residents expect governments to operate like the technologies they use in their day-to-day lives, cities must rethink their approach to digital. 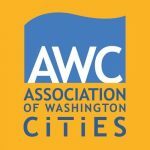 I’m joining ELGL Executive Director Kirsten Wyatt and Romulus CEO Chris Maddox at the Association of Washington Cities Annual Conference for a panel discussion, “Getting Your City Digital,” on how cities can better serve residents by leveraging flexible, cloud-based technologies to scale and economize their digital government services. The panel discussion is Thursday, June 23, 10:45 to 11:45 a.m.
Register for the AWC Annual Conference.